Whether you were a passenger or in another vehicle, a bus crash can destroy both your finances and your health. Talk to a Salt Lake City bus accident lawyer to find out how to get the compensation that could enable you to put your life back together. When riding a bus, you expect to reach your destination safely. If this did not happen and you were injured in an accident, a Salt Lake City bus accident lawyer from our office can file a personal injury lawsuit on your behalf. You have the right to seek compensation for your injuries, but you must do so by filing a lawsuit within four years of the accident date. Otherwise, you could exceed the statute of limitations and your case could be dismissed without ever being heard. School buses are responsible for the largest portion of bus accident cases at 44 percent. This is followed by transportation bus accidents and intercity buses. For parents, the possibility of a bus crash can become a terrifying reality. If your child was injured in a school bus accident, you have the right to file a lawsuit on his or her behalf. Fortunately, bus accident fatalities have been decreasing, but even small injuries may entitle you to compensation. To find out if you have a case, call our office to speak with a Salt Lake City bus accident lawyer. Your Salt Lake City bus accident lawyer will investigate what happened in your crash and determine both the precise cause and who was at fault for it. Bus Manufacturer – The company that manufactured either the bus or its parts may be at fault if there was an equipment failure. All it takes is a loose wire connection, bad sensor, or part that wears out too quickly to create a dangerous situation that can lead to accidents and even death. This has been all too common in personal vehicles, and buses are not exempt from these issues. Bus Driver – If the driver of your bus was intoxicated, suffering from extreme fatigue, distracted, speeding, or being reckless in general, he or she could be to blame for your accident. Bus Owner – This could be the district where your child attends school, the city that runs intercity transportation, the state, or a private company. Bus owners often have responsibility due to decisions made prior to putting the bus on the road. For example, if they knew that there were maintenance issues and let the bus go out anyway, they would be responsible for accidents occurring due to a breakdown or malfunction. Also, if they allowed a driver to go out without the appropriate breaks or training, they could be partially to blame for a crash caused by the driver. Third Parties – Any third parties responsible for maintaining the buses or keeping them in good working order could be negligent for failure to perform their duties as agreed. Another Driver – If the bus was hit by another vehicle, the accident could be mostly the fault of another driver. This can be determined by reviewing accident reports. Once you have retained a Salt Lake City bus accident lawyer from our firm, we will prepare to file a lawsuit on your behalf. This is done by gathering evidence and determining the initial value of your claim. Once completed, we can then issue a demand letter to the other party. If they agree to a fair settlement offer, your case may settle out of court. If not, we will proceed with the lawsuit and fight them in court. Your Salt Lake City bus accident lawyer will seek as much money as possible to pay for your public transportation damages and injuries. This goes beyond just receiving money for medical bills. You should also be compensated for lost wages and the overall impact that your injuries have had on your life. 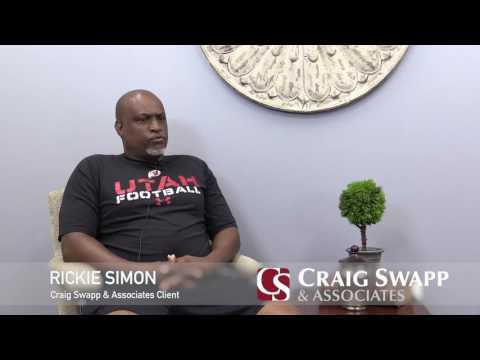 Protect both your legal rights and your financial future by working with a Salt Lake City bus accident lawyer from Craig Swapp & Associates. We can provide you with sound legal representation and fight for the compensation that could enable your recovery. Call 1-800-404-9000 or complete the form below to schedule a free, no-obligation consultation.